Configuration: 8 boxes per case. 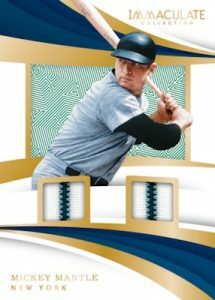 1 pack per box. 6 cards per pack. 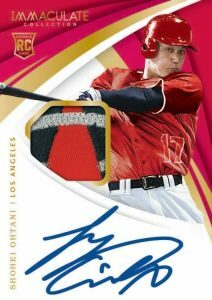 – Look for oversized swatches that feature batting gloves, fielding gloves, cleats, hats, socks, jackets, wristbands and jerseys in Immaculate Jumbos. 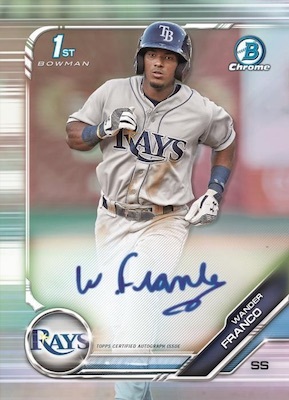 – Find on-card dual autographs that include teammates, rookie classmates and more pairings. 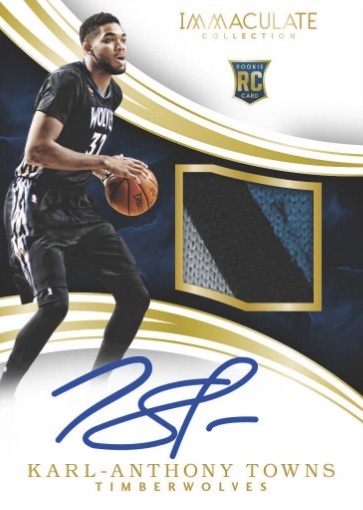 – Look for on-card autographs paired with prime patch material from the season’s top rookies in sets like: Rookie Auto Patches, Rookie Auto Premium Patches and more. 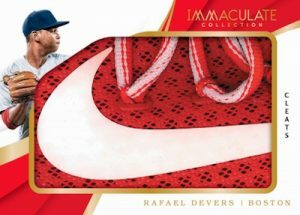 – Inside boxes of Immaculate you can find signatures on unique materials like parchment, tweed weave, bats, carbon stickers and more. 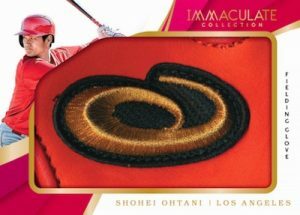 – Look for swatches of memorabilia from baseball’s greats in Immaculate Legends!